The market of tables always is filled with competition. 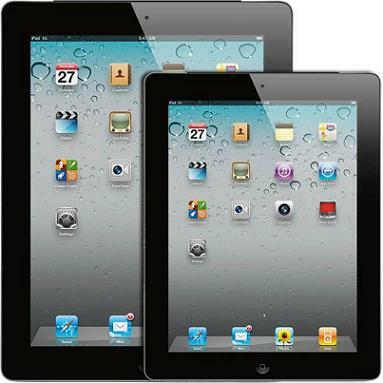 The release of the iPad Mini may bring another success to the Apple Company. With smaller body size, the iPad Mini is more convenient for you to carry out. It has 7.9 inches screen and high-resolution up to 2048x1536 pixels. With so wonderful display, you may want to watch your favorite movies on it. This guide will show you how to convert DVD movies to iPad Mini for free. You can use Handbrake DVD ripper software do it for free. just following this guide how to convert DVD to video with Handbrake. However, if your DVD movies are commercial DVD with CSS protection then you need a professional DVD ripper tool called Leawo DVD ripper. It will help you solve the problem. It can convert both common and CSS encoded DVD movies to iPad compatible video or audio files on computer with great output quality. Tips: If you want rip Blu-ray to iPad, you can use Blu-ray Ripper, it can rip both Blu-ray DVD and common DVD into your needed high-definition or common video formats. In the first place, you insert the DVD disc in your computer's DVD-ROM. The computer will auto read the disc .Then click the "load DVD" button on the top and all the added DVD files will list on the main panel, you can preview them in the right viewing window. After loaded DVD files, you can click "Profile" to select output format for iPad Mini. This software provides you with abundant profiles for the output video. The formats "mp4" is what we recommend. Click "Settings" icon to set output video resolution/size as 2048x1536 pixels or smaller. There are several of output parameters that you can modify. If you are not familiar with it, simply keep the default settings. You can also set the output path by click "browse…" icon. Now click "Start" to begin converting DVD to iPad Mini. After the conversion is done, you can find the converted file by clicking the "Find Target" button. After all above finished, you can sync the converted video to iPad with iTunes. Now it is time for you to enjoy your favorite movies on iPad Mini on the go.